Most of all I would like to extend my appreciation to Harris for all the time and assistance he provided to me and my family. He is good at giving advice on how to traverse this large metropolis, whether by subway, walking or driving. Without his help, this Special Vacation would become just a vacation. Harris is the type of employee that leaves a good impression with a guest and any hotel would be proud to have him as an employee. Once again Thanks to Harris. Harris Gu is outstanding hard worker. We have travelled the world and he is the best -- Very good people skills, efficient and knowledgeable. We enjoyed working with him. He was very helpful. We had such a great time in Beijing -- so many wonderful memories. You were such an important part of our trip -- Greeting us with a smile everyday and sharing our Beijing experience. We will always have a fondness in our hearts for you, especially for becoming Evan's friend, too. Besides being so friendly and helpful to us, the Marriott corporation is lucky to have you as an employee. Your professionalism and dedication are unparalleled and you exemplify the Marriott high standards of excellence. We look forward to meeting you again someday, either in Beijing again or in the U.S.
Harris is exceptionally helpful, courteous and knowledgeable. We believe Harris was central to our very comfortable stay here in Beijing. I'm writing to express my sincere appreciation for the first-class experience during my family's recent visit to Beijing. Harris's assistance with our itinerary, logistics, event tickets, etc... was second to none and truly helped make our vacation memorable. I went to Shanghai and other parts of China last March with my daughter and my elder parents. During our trip in Shanghai we contacted Harris to help us as guide. He is very helpful and polite. He has a very good knowledge about history and places of interests in China. He is also a cool travel companion. His English is very good. Harris helped me when I needed to extend my stay in Shanghai. He was very persuasive to the hotel officer so I got the same promo price for my hotel room. One time I was late for a 3D show in the Science museum. Harris was persistently asking the operator to get me in the next show in exchange for the one I have missed. He did his best to make our trip a good and memorable one. I will not look for another guide when I come again to Shanghai. I also tell my friends and family that they should ask for him as their guide when they visit China. Harris also helped us to see the doctor in the hospital when my father got sick and had to be examined and tested. He was willing to work overtime to ensure our comfort and safety. I will undoubtedly recommend him as one of the best guide in China. My husband & I toured with Harris for a complete day in Shanghai which was wonderful. His English is excellent and he is very professional as a guide. Born in Shanghai, he knows all the great places to take you. I would highly recommend him. Harris was more than a guide.He became our good friend. We would defintely recommend Harris to anyone visiting Shanghai. He understands your needs & is very proffessional, patient, informative and manages time well to cover most important tourist spots & fluent in English.He recommends top tourist spots & leaves it to us to decide depend'n on the time & transport. He took us to the local streets, shopping areas to get the local flavor of the city. With Harris being around U'l never waste ur time. Harris was great. Organized, knowledgeable, great English, very flexible. I recommend him highly. Knows all the ins and outs of Shanghai, including the best dumplings in town. We had a great time, and managed to see alot -- from the Bund to Shanghai museum to shopping to Buddhist temple to parks to tea house -- in just a few days. I would not hesitate to hire Harris again. My family and I (4 people) hired Harris for a couple of days to visit Shanghai, We've been to several places including the Bund, Shanghai Museum, Yuyuan Garden, Qipao Old Street and other places. We liked the tour very much, and most of all the guiding qualities of Harris, especially his proficient English, his infinite patience and his natural kindness. I'm writing from Beijing and we've tried here a couple of guides, and believe me if I could bring Harris here with us, I would have done it. My advice to you, don't hesitate, send him an e-mail and you'll see by yourself. My husband and I were in Shanghai in August and took Harris as our guide. He was great with lots of information on the sites – very organized, patient and yet flexible. He knows a lot. Harris gave us the best guided tour. We recommend him warmly. 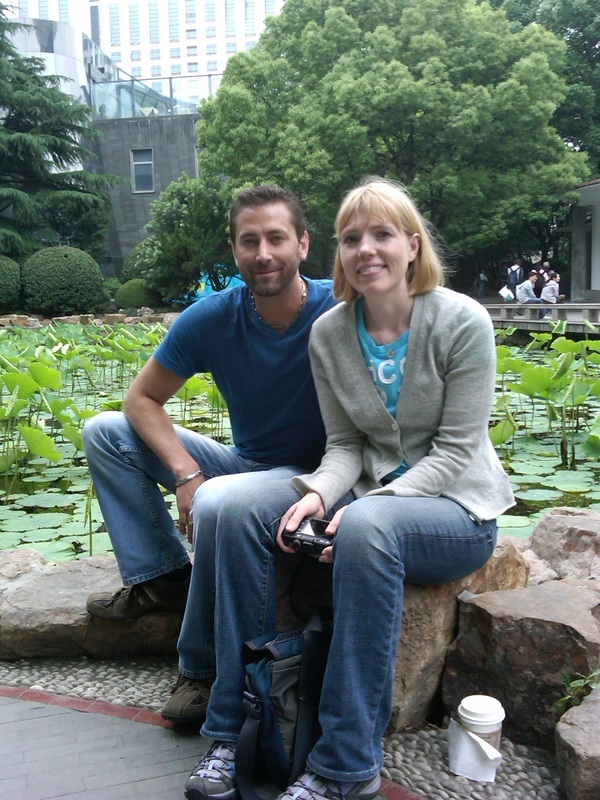 My wife and I recently had the opportunity to spend two full-day tours in Shanghai and Hangzhou with Harris. We had a wonderful time. Harris is a very competent guide with a thorough knowledge of the area. He is articulate and well-educated with a very flexible approach to each tour. We have traveled often, in the past, using private tour guide services and we can readily attest that Harris is the best, by far, of others we have used. 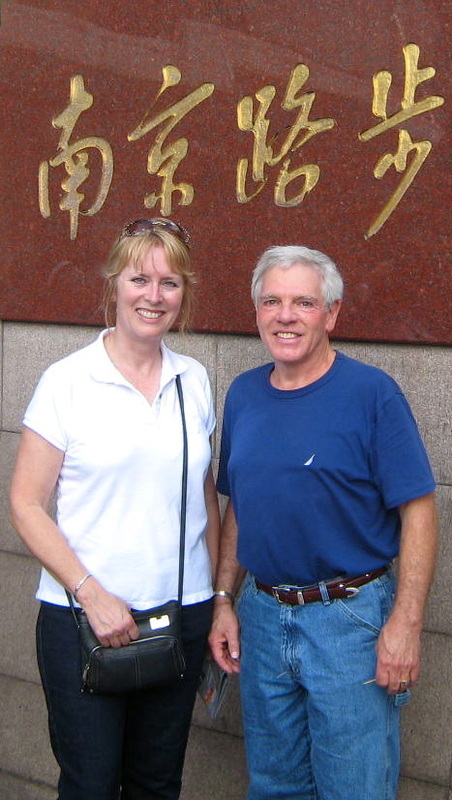 We highly recommend him to anyone looking for a great tour of Shanghai or Hangzhou. Harris helped us greatly while we were in Shanghai. We were arriving by train and going to an apartment that was not a well-known spot. He arranged a driver to pick us up and we had no problems at all. The same driver, arranged by Harris, took us about 45 minutes out of the city to the tennis center where we watched the Shanghai Open. Two days in a row Harris came to our hotel and walked us around the city, very knowledgeable and conversant about China and the people. His English is excellent and he made our stay in Shanghai very enjoyable. and got way more than just an expression of a city. We just wanted to get you a note expressing our sincere appreciation and thanks for your wonderful guide services during our short visit last week on 12,24-26 with the American Airlines Crew. We really enjoyed your insightful details on the history, culture, customs, sites, food, and lifestyle. Your ability to seamlessly coordinate a large group, transportation, site seeing, tickets, food, and insights was greatly appreciated. It made our trip much more enjoyable and efficient not having to worry about all of these details. The Burns family had an amazing experience with you and all three of my girls got a great education due in part to the time spent with you as our Shanghai and China expert. If we get back to Shanghai or Beijing to visit again we will certainly call on you again. Spending New Year in Shanghai with friends both local and from abroad was only accentuated by Harris guidance. Not only does Harris know the city like the back of his hand but he will give you the historic significance of every corner of it. His knowledge was both impressive and non filtered as he will educate you on some of the lesser known facts about Chinese history and the controversial party changes. I especially appreciated his restaurant recommendations as we had an amazing meal where ever visited and none of which were tourists traps with half the taste at 2x's the price. I also can vouch for Harris in the Markets of China as this guy can haggle with the best of them and get you the best price for whatever trinket your heart desires. In my experience this is a skill lacking in most guides and being from NYC myself, I can usually do a better job of negotiating. Not so in this case as "Ice Water" runs through this man's veins as he holds firm when bargaining on your behalf! Great experiences were had and the fact that I was there to work is almost forgotten, as when looking back all I remember is how good of a time it was. ever changing needs. Harris speaks excellent English and will inform you of all the interesting history of Shanghai. He also owns a new mini-van for trips outside the city. As a driver Harris is very safe and considerate - this is a rarity in China! I highly recommend Harris as a private tour guide in Shanghai and will definitely catch up with him again next time I am back there! We found Harris online and he was a wonderful Guide. He was patient when we needed to find specific stores and has a wonderful grasp of the history of the area. We would be happy to use him again on a future trip. My adult daughter and I spent several days with Harris, who has a breadth of knowledge about this amazing city. While traveling to Asian countries, I always arrange for a guide to make sure we see and learn as much as possible about our host cities and countries. Harris was incredibly informative about everything - history, shopping, eating, architecture and culture. He is well educated and very articulate answering all questions thoughtfully and thoroughly. He is extremely flexible as well and willing to accommodate changes to plans. Our communications by email before our visit were very helpful in planning our trip and when he wasn't available for several days, he provided us with a wonderful substitute. Both my daughter and I recommend him without reservation. BTW - ask to visit his wife's tea shop - it's incredibly interesting. 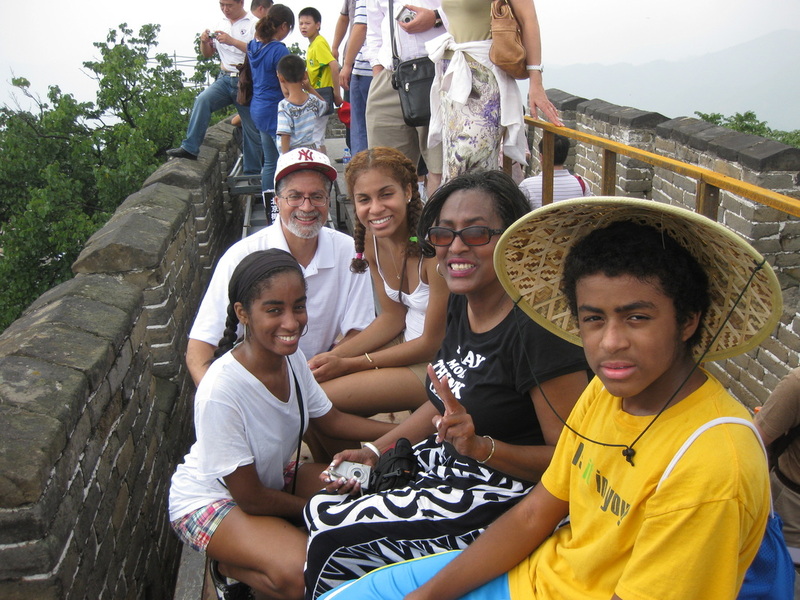 Our family of four (two older teenagers) spent two days in Shanghai with Harris. Even before arriving to Shanghai, he was very helpful with my planning in making recommendations for hotels, guides for other destinations and prompt in answering any questions I had. We were pleasantly greeted by him at the airport and pleased to find that his English was excellent. He was very flexible with our plans and although he will suggest an itinerary he also catered to our own interests. He provided suggestions for places to eat and was helpful in ordering for us, so we had some delicious meals at reasonable prices. Harris is prompt and very reliable. Never having had guides before in China, we weren't sure what to expect. Our experience with Harris had been excellent. We would definitely recommend him as he is very knowledgeble about the history and sights in the city. Harris took us on a day tour of Shanghai. It was an excellent tour and gave us a good feel for the city. Harris was very interesting and his english was excellent. We would not hesitate to recommend him. From the first email to the final goodbye, I cannot recommend Harris enough. My family did a 2 week vacation of 4 cities in June, ending in Shanghai. We had (1 day) private guides in each of the 4 cities (Beijing, Yangshuo, Hong Kong, and Shanghai). Without question, Harris was the best from start to finish. First off, Harris helped w/itinerary questions and general logistics. His email f/up was timely and courteous. On the day before our day trip, Harris checked in via phone to see if everything was cool and confirmed the next day's tour. We met Harris in hotel lobby and did a quick meet n greet and confirmed the day's agenda. I immediately felt like we were dealing w/a professional. Harris had a great combination of rapport, historical perspective, and english fluency that was amazing. was amazed at the depth Harris provided in painting a very relevant and accurate picture of China. I cannot recommend Harris's services highly enough. p.s. We had a 7 year old girl that also loved the day tour and attention Harris paid her! We are a family of 5 who flew home from Shanghai yesterday. What can i say about Harris? Whatever you need in Shanghai, Harris can make it happen. He knows the city very well and if he says that he will be there at a certain date and time, he is !! His English is great and he is very helpful and responsible. He is also very communicative. When booking a guide/driver, look no further than Harris. He is that good! We enjoyed our tour. Harris picked us up from the airport and took us on a 1 day tour. He hired a driver for the day, which worked out great. We were able to go quickly from place to place. He did everything he said he would do, and was very prompt. tour, he has a network of guides that also speak very good English and are able to give you a tour as well. I would not hesitate to tour with Harris again. This was our first multi-city trip with young kids to a foreign country and the first time we were ever taking help of a local tour guide so we were initially apprehensive!! Shanghai was our first stop - and Harris removed all our apprehensions. He was punctual, prompt and professional. We got a real flavour of the city. He gave us good recommendations on restaurants with vegetarian food. Kids had a ball at Shanghai.. and we thoroughly enjoyed the city. I would highly recommend Harris to all visitors to Shanghai. easy going style that makes him easy to be with. A friend of mine told me about Harris. We were so happy we followed Karen's recommedation to hire him. I will hire him again when I am back in Shanghai. We just had 4 days tour with Harris to Zhouzhuang, Tongli and 2 days in Hangzhou. We were glad we took our tour with him, he is friendly, professional and punctual. His english is also quite good and he is quite knowledgeable. We decided to change a few of our itineries on the day and he managed to arrange everything within our schedule. We surely recommend Harris for a trip in Shanghai. Harris was an energetic young man who was punctual, factual, helpful and able to think on his feet. We hired Harris for 7 days going to Hangzhou, Suzhou as well as Shanghai. Harris travelled with us to Suzhou, and we paid his previously agreed reasonable accommodation and meal costs, as it was difficult to find a guide in Suzhou. Suzhou is normally covered by a daytrip from Shanghai, but we wanted to cover the surrounding area more fully. We had two minor incidences that happened to us unrelated to Harris, and it was his quick thinking and mature attitude that got us out of trouble and kept us safe. We very much appreciated his help. We can recommend Harris to anyone with the knowledge that he will guide you to anywhere that you wish to go, using his travel plans or your own. Whilst we arranged our own hire car, Harris on one occasion hired a car for us in Hangzhou and it was a very satisfactory arrangement. Harris can hire a vehicle of any make or model to suit your requirements. stay. The next day we wanted to see an acrobat show so he got online, bought us tickets and delivered them to us before the show at the theater. The experience was great and we will certainly take another tour with Harris next time we are in China. Harris was kind enough to be our guide during our recent trip to Shanghai (Nov 2012). We were travelling with our two sons aged 13 and 14 and Harris engaged all our attention with his knowledge of the city. He is extremely punctual, polite, well organised and a lot of fun. Thank you Harris - I have left your contact details with our friends in Shanghai so that you can assist any other foreign guests. We hope to reurn to Shanghai in a couple of years and would love to do more expoloring with you. A great guide and really nice guy! My husband & I spent our first day in Shanghai with Harris as our guide. It was a most interesting day. Although it was raining a little, Harris adjusted the prior plans to suit the weather & it was a fascinating day. He was punctual, extremely knowledgeable & most helpful in getting us started for a week in Shanghai. He helped us get our bearings by visiting the Planning Museum & giving us a basic lesson on using the metro & the taxi system. He introduced us to Shanghai cuisine at a delicious small restaurant. Harris seemed to have a great knowledge of the architecture in the French Concession & pointed out interesting buildings to us. We hope to do another tour with him next year if we are able to visit Shanghai again. I would recommmend Harris with great confidence. Harris was exellent, we had a great expierence. Will highly recommend Harris. That's all I can say....AWESOME! I booked Harris at the last minute on a Thursday night for a tour of Shanghai on Friday. I was in town for business, and had Friday off; so I wanted to see Shanghai from local eyes. Harris agreed to meet me at my hotel on Friday morning around 11 am. We met in the lobby and began our journey. He took me to several different sights, including the Bund, Shanghai museum, the Gardens, and many more! We had a GREAT lunch at a local spot that he chose; he ordered everything and explained to me what everything was prior to ordering. My favorite (you must try) was the "steamed buns"! Everything was perfect that day! He even took me to the South Bund Fabric Market so that I could get a suit tailored made (actually 3 suits!). This was the best decision that I could have ever made while in Shanghai! If you are visiting Shanghai, I promise you it will be worth your money to get a private tour with Harris Gu!!! I will definitely book him again if I ever get back to Shanghai! I cannot add much to the praise that Harris has received before this review. All deserved. All sincere. Harris's time and days were pre-arranged by email. What Harris met were a bunch of well-traveled airline crew, used to being very independent, morooned for three days in Shanghai over Thanksgiving. Don't get me wrong. We were happy to get the opportunity to savore a place rather than popping in at night and heading back the next morning. But we all had different ideas on how best to see it all in 72 hours. Believe me when I caution that guidebooks cannot prepare you for a city of 24 million encapsulated in an area of 2,500 square miles. Yep, a city that big. Had to check a few sources to believe it. Although Shanghai could possibly be the most modern of cities, boasting high speed public transportation including a "Mag Lev". (Look that up), skyscrapers that kink your neck, and building building everwhere, It is still a city very foreign to us Westerners with both language, customs and the shear scale of the place. If ever a novice or seasoned traveler required guidance to maximize (as one reviewer put it; "cut to the chase") their experience, Shanghai is such a place. Having the right person guide you, not just to get you around but to engage you in conversation, providing history, and comtempory perspective, Harris does that and does that well. As others have mentioned, Harris has wonderful command of English which I believe enriches the information and allows commentary. He becomes part of the group rather than just leading it. He interfaces between you and real people to 'link' , if only in passing, with something more than the face. This in itself is rewarding. Many of you have probably read in your guidebooks how the Chinese do business. At least the Chinese on the street that do business with tourists. There is a sort of 'flexability' in the price of an item. Call it what you want, but haggling is a very real part of the transaction. You could even say it is expected. Some of us are good at it, like my wife, and others, like myself are shamefully inept. I would not want the reader to feel free to take advange of Harris, but he became my negotiator on a couple occasions. Though it did not elevate my stature among my peers at least I came away feeling like I got a bargain. Another thing. If you expect a guide that holds a flag high all the while blaring over a loudspeaker as he leads you from place to place, Harris isn't your guy. He is there when you want him and standing patiently at the side until you do. Of course he will suggest an itinery, but he is flexible and not at all annoyed by a requested change of direction. Our group was really good at that. It is easy to be overwhelmed in a city like Shanghai. Getting your head around the immensity of this city can leave you feeling off-balance, fragile, and maybe a bit insecure. I live within an hour of Los Angeles, CA so was, in a small way, a very small way, prepared. But what about the family traveling from small town Nebraska? I cannot imagine how overwhelmed one would feel. Having a guide that gently guides you, fills you in, and comforts you so the beauty of the place inspires you, embraces you, and beckons you is a stand-up guy like Harris. Gu Shao Wa thank you for our brief time together. That's all i have to say.....THANK YOU Harris for the great experince! My husband and I really enjoyed every single moment in shanghai with your company! We booked two full day tours, and both tours were incredibles!!! Harris is a great guy, fun and he knows a lot about Chinese culture. He understood perfectly what we wanted and also helped us to buy souvenirs. Jajajaja that was fun. My wife and I and another couple had a wonderful time touring some absolutely beautiful spots around Shanghai. Harris was perfect. He was very knowledgeable and added some interesting cultural aspects to our tour. His english is very good and he is able to add more to the tour because of his knowledge of the language. He also is willing and able to give you some insights into some good shopping and eating. We recommend him wholeheartedly. Thank you Harris!! about all the sights. I would highly recommend Harris as a guide. Thank you Harris for showing us your beautiful country. recommended him to our friends - he is simply a great guide and provided us with a bespoke, personalised experience and took us to some wonderful local restaurants. His English is excellent and his enthusiasm shines through. Harris is highly, highly recommended. I have hired Harris 3x in the last 2 years . he is an excellent guide, lots of history, lots of facts. His english is excellent. I have enjoyed all 3 tours I have taken w him. My fellow travellers have all thanked me profusely 4 arranging the tours w him. We have all been very pleased w all the destinations & sites where harris has taken us. I highly recommend Harris Gu!! Package tour we booked. He takes the time to customize your tour to your liking.He is a knowledgeable, well organised and patient man and is genuinely interested in his clients and enjoys providing the very best service. We highly recommend Harris and feel a better choice cannot be made. Thank you Harris for the wonderful day we spent in Shanghai. You knew Shanghai backwards explaining the customs & sights of your country and your speaking and expertise of English language was outstanding. We enjoyed our time with you. Harris once again lives up to his reputation. We requested a tour of the basics of Shanghai and we received much more than expected. Harris finds unusual points of interest that are near major attractions that we never would have known about. He is extremely knowledgeable and speaks perfect English. He took us to an authentic Chinese lunch where he ordered local favorites. It is not always an easy feat to please seasoned travelers (we are international flight crew members) but we were all extremely happy with Harris, his itinerary and the cost. We all agreed that we would definitely call him again for other tours in and around Shanghai. We are a couple from Spain who has been only for two and a half days in Shanghai, and it was our first visit. Shanghai. We have been very pleased and happy in the way he has organized our stay. Even, talking to other people, they were surprised for the amount of places we had visited. We highly recommend Harris as a guide in Shanghai.. If we go back again to Shanghai, for sure we will contact him again. Harris was a great tour guide to take around Shanghai. He helped pick us up at my friend's house (who were were staying with, not in the city center) which not too many tour guides offered those services. Harris was very flexible and accommodating to our every need. He was definitely right that taking taxi's & walking around is an easy, safe way to really get a look at Shanghai. He has lived there since he was 2 so he really does know his way around the city. We sort of did a "tour as we go" based on how we felt so we got to get a good mix of sight seeing as well as getting to try so many different soup dumplings and fried soup dumplings. His recommendations were impeccable as all the places he took us had very delicious soup dumplings for a very cheap price. He even took us to a market where I got my name written in Chinese calligraphy and his calligraphy was even better than the girl who was selling the framed name calligraphy. Very impressive. Shanghai viewpoints and perspectives. There were so many buildings we walked by and Harris' knew the history of the buildings and their significance in Shanghai's history. Oh yea, and he also knew a lot about Shanghai's history. You cannot go wrong booking Harris. He is very affordable compared to many of the other tour operators in town and he is so accommodating. I highly recommend him! Thanks Harris! I was amazed at how knowledgeable Harris was. He gave us an overview of many aspects of Chinese culture all along the tour. He was a great driver--even in dense traffic. His Engllish was amazing. He really made my trip to Shanghai a memorable event--I can't imagine trying to visit Zhouzhuang without him. It would have been impossible. My day with Harris was stressfree and totally enjoyable. Harris is beyond the best.!! Harris was a fabulous tour guide. 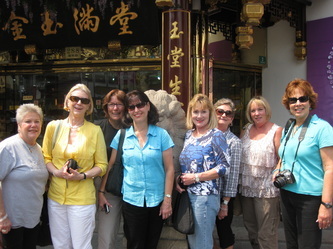 He took my group of 4 women to Zhouzhuang, the Venice of the East. On the hour + drive to Zhouzhuang he informed us about the areas we were driving through and the way the people lived. He answered any question I asked in perfect English. At our destination he took the time to explain what we were seeing including a very detailed description of a bronze wall in one of the houses. We enjoyed lunch with Harris. He selected the perfect Chinese plates for our American palates. We all enjoyed it. On our return to Shanghai in rush hour traffic Harris patiently maneuvered through the streets. He dropped us off at our individual destinations. I would tour with him again and recommend his tour to all who visit the Shanghai area. Harris's picked us up from the cruise mterminal. Our group consisted of 10 people, just nice. His English was perfect, what a great guide he turned out to be. I would highly recommend him. He showed us Shanghai at a leisure pace, walked on the Bund, plenty of time to make photos and view the buildings around, continued to Yu Garden. Not our first visit, but loved to see it again. This time it wasn't as crowded, great weather. He showed us the old town around the gardens. Further he took us to the financial district, to view Shanghai from the 100th floor of the "Bottle Opener" building. After that we went to an early dinner at a local restaurant, quite an experience and very inexpensive. He has so much local knowledge and told us all about the way of life in Shanghai. After our dinner, which we all loved, we took a cruise on the river. By that time it had become dark, stunning views of the city, with all the lights. Harris is a very knowledgeable guide, who will show many more visitors this beautiful city. Very highly recommended. Thanks Harris for a great day. usually shown on city tours. We highly recommend Harris to anyone wanting a great visit to Shanghai. Our family of four spent Spring Break in Shanghai with Harris as our guide. Harris was organized and professional. He suggested interesting itineraries and was flexible in matching activities with our interests and changes in plans. Harris and his drivers were always prompt. He likes food and always made good choices of restaurants and snacks. Harris is knowledgeable and his English is very good. He is great at bargaining and helped us find gifts and souvenirs. The guide he arranged for us on the days when he wasn't available, Qinqin Gan, was also excellent. You won't be sorry if you have Harris as your guide. You'll have a relaxed and enjoyable visit. with excellent English capabilities. He planned an exciting 7 hour extravaganza of activities which gave us all a strong introduction to Beijing. A pleasure to deal with an open conversationalist and a good listener. Just a great day in his wonderful new city. Harris was an excellent tour guide. We spent just one day with him in Shanghai, and he ensured that we saw the major sites with our family of 5. The activities including the Bund, French Concession, Pearl tour, wax museum, and restaurant lunch, were a great mix for adults and our 3 children. Harris speaks outstanding English and was enjoyable to talk to. We ended up our Asian cruise in Shanghai and decided to add a couple of extra days to see this great city and also nearby old historical cities Hangzhou and Suzhou. Harris Gu was our fabulous guide. started our tour in Shanghai walking along Bund, than French Concession, Nanjing Pedestrian Road, we had a nice lunch and than visited Yu Garden and Bazaar. Here we got full explanation about Chinese garden culture and advice about souvenir shopping. The weather was finally nice and warm so it was a perfect day in Shanghai. Next day we planned our trip to Hangzhou. Initially we agreed to take a subway from the city to the railway station from where we were going to take a bullet train to Hangzhou. But as my husband got some walking problems. Harris offered to bring his own car to eliminate subway part of this trip and that was very helpful. In Hangzhou we visited very interesting area of Flying Peak and Linyin Temple. The mountain that located along the road to the Temple has a lot of religious carvings on its walls and this Temple has also very important role in spreading Buddhism in China. Next stop was ancient Pagoda Of Six Harmonies and we ended our tour with a nice boat ride on the West Lake. Hangzhou located on the shores of this lake and you can see it from the different parts of the city and every time it looks different and very picturesque. Canal and small sideways canals. It was like entering Chinese Venice. We didn't expect to see such street in China. Harris also was very helpful to pick up souvenirs from local vendors. Again it was a perfect day. And on our last day in the morning we had a cruise on Huangpu River, visited Shanghai silk museum and did last time small souvenir shopping with Harris. After the lunch it was time to go to the airport and fly home. Thank you very much Harris for making our time in Shanghai so great. My wife and I were available in Shanghai for a broken few days whilst I was traveling with work, and so plans were initially quite uncertain. Nevertheless, Harris helped us put together an initial two-day itinerary with a third "bonus" day the following week. The result? Brilliant - what a fantastic way to experience a great City. Sure, we went to the expected places (The Bund, french concession, yu gardens etc), but we also got to experience some lesser known locations and see a bit more of "real" Shanghai in the side-streets care of Harris' local knowledge. painting session, followed by a local cookery class. Both great fun and a bit out of the ordinary. Both sessions were exclusive to us and with Shanghai locals, so not the usual tourist trap stuff. Harris himself can communicate extraordinarily well in English - amongst the best I've come across in China so far - and his subject knowledge was excellent everywhere we went. Harris told me he had only been doing it for a few years, but he has clearly learned the trade very well and takes his profession very seriously. He wasn't just spouting the facts and figures you often get from amateur guides, you really got a feel for the place, history and culture from his narrative. I can't believe we fit so much in to so few days either - it didn't feel rushed or hurried or like there were ever any time pressures. My wife and I have used private tour guides in a number of Asian cities so far, so I can say with confidence Harris is amongst the best there is. I am expecting to spend more time in Shanghai (although not with my Wife unfortunately) so I expect to look up his services again if I have a spare day here or there. Harris Gu provided a wonderful 3 day private tour of Shanghai which focussed on our special inerest in contemporary art. Harris was extremely knowledgeable and flexible and we enjoyed exploring the city with him. He offered good lunch suggestions and was always happy to accommodate our food preferences. He recommended using taxis to get around and this worked really well. He organised tickets to the Acrobatics Show and nothing was too much trouble for him. We used the services of Harris over a short 4 day period in Shanghai. From Airport collection and drop off. To being driven to attractions further out and as a guide on foot using public transport and Taxi. We managed to see and do a huge amount of things that would have been impossible without his support and guidance. His knowledge was fantastic and the quality of vehicles used first class. He displays a very polite manner which is enhanced by his extremely good English. We never felt pressured to do anything other than what we wanted to see. We will come back and we will again use his services again, as he adds value to a short experience in a way that would have taken us on our own at least twice as long to do and in reality at a much greater cost. I would totally recommend him and be very comfortable putting my trust in him. additional suggestions for things we might want to do on our own. He arranged our airport pick-up and was happy to help us with anything we needed. Harris supplies a car to take the group where you want to go. It is a very comfortable way to get around and saves a lot time. His rate is very reasonable. You will definitely enjoy your stay in Shanghai even more if Harris is your guide. With only a few days to explore shanghai, we feel harris showed us the best of the city. At the busiest time of touring, harris toured us for a quick busy day of seeing all the sights we wanted to see and left a wonderful impression of his city. Thank you Harris for a great tour by a knowledgeable leader. We only had two days in Shanghai and Harris did a wonderful job showing us everything we wanted to see. He will arrange a tour of your own preferences and make wise recommendations as well. glimpses of how the real residences live”. He and his driver did a remarkable job with timing! I would recommend Harris to anyone wanting a great tour guide in Shanghai!